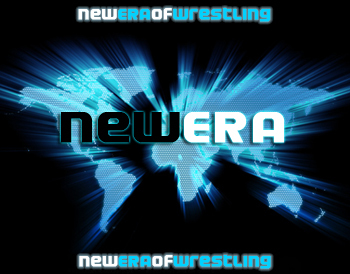 EPW & New ERA present.. Sin City Showdown, 02.10.10! MARX: "Welcome to Sin City Showdown .. and welcome to the opening bout!" JACOBS: "This is going to be a barnburner to be sure!" WATERS: "If by a barnburner, you mean a complete massacre.. then I agree." MARX: "GAMMA-O is one of the few remaining testaments to the WFW:NE .. and tonight he will go head to head with someone he’s wanted to gain revenge on for a long, long time: Anarky." JACOBS: "Anarky is a former WFW World Heavyweight champion. After the completion of the merger he was already signed with Empire Pro, so he didn’t come to the WFW:NE to try to win back his championship … so this is the only chance GAMMA-O has at making things right again." WATERS: "Who cares! WFW:NE is gone. NGEN is here. Did GAMMA-O even show up tonight?" MARX: "I don’t think GAMMA-O would have missed this for anything, Vic." WATERS: "Well then wake me when it’s over… because I don’t mind missing it." JACOBS: "GAMMA-O representing what is left of the WFW:NE whereas Anarky will be representing Empire Pro .. in this revenge match!" MARX: "Let’s send it to the ring announcer and officially kick off … Sin City Showdown!" RING ANNOUNCER: "The following contest is set for one fall. Introducing first, hailing from Tokyo, Japan, and weighing in at 223 pounds…. GAMMA!!! OOOOOHHH!!!" MARX: "Gamma-O carrying the banner for NGEN in this match against Anarky. It shall be interesting to see how this highly touted newcomer deals with the maniac veteran." WATERS: "Well Gamma-O isn’t exactly the most friendly of persons, but Anarky’s a grade A sicko, so this will be interesting, and most likely gruesome." RING ANNOUNCER: "And his opponent… From Hartford Connecticut… Weighing in at 220 pounds… ANARKEY!!!!!" MARX: "The two men just slugging it out in the middle of the ring. This isn’t so much a wrestling match as it is a fight. Anarky now with a series of kicks to the gut… He whips Gamma-O to the ropes… GAMMA-O COMES BACK WITH A SPINNING HEEL KICK! Gamma-O dives on top of Anarky and punches away on him!" JACOBS: "This wasn’t expected to be a catch-as-catch-can classic, and so far it’s looking like it’ll live up to expectations as being a fight." MARX: "Anarky getting to his feet and he’s backed into the corner and takes a couple of shoulder blocks to the stomach. Anarky sent to the other corner… CHARGES OUT AND CLOTHESLINES GAMMA-O’S HEAD OFF!" WATERS: "Man he might be knocked out cold by that shot! MARX: "Anarky stomps Gamma-O in the head… Gamma-O up to a seated position… ANARKY CHARGES AND CRACKS HIM IN THE HEAD WITH A FOREARM! Anarky covers! WATERS: "I’m glad Gamma-O kicked out, would have been tragic if this ended before they got really into beating on each other." MARX: "Anarky gets Gamma-O back to his feet. Gamma-O gets a thumb into Anarky’s eye and that backs Anarky away, Gamma-O with a couple of leg kicks rocks Anarky… Gamma-O with a ROUND HOUSE KICK TO THE HEAD! Anarky crashes to the mat, Gamma-O with the cover! JACOBS: "Anarky’s tough as nails, Gamma-O is really going to have to bust out the big guns if he wants to get a win." MARX: "Gamma-O pulls Anarky up, Gamma-O, lays in a series of knife edge chops (SFX: "whoo!") Gamma-O sends Anarky to the ropes… Sets to early on a backdrop and gets a kick to the face that straightened him up. Anarky hits the ropes… RUNNING FRONT KICK TO THE FACE OF GAMMA-O!" WATERS: "These guys aren’t holding back at all, can we have this going best two out of three, or maybe five out of nine? I could spend all day just seeing these two beating the tar out of each other." MARX: "Anarky drops Gamma-O with a scoop slam and now flips him over to his belly and locks in a CAMEL CLUTCH. Gamma-O being wrenched back in the hold." JACOBS: "You know Anarky loves inflicting pain, if you get in the ring with him you’re bound to suffer, and Gamma-O is finding that out right now." MARX: "Anarky has the hold locked in, Gamma-O thrashing, trying to get his knees under him to get pressure off his back… Gamma-O gets his legs under him… Anarky quickly jumps up and DRIVES his weight into the lower back of Gamma-O… And now he grab Gamma-O’s legs, and leans back for a BOSTON CRAB!" WATERS: "Anarky’s just torturing Gamma-O... I haven’t seen Gamma-O suffer like this in his career, but now he’s really in the deep water." MARX: "Anarky has Gamma-O in the middle of the ring, Gamma-O thrashing on the mat, refusing to tap out as he slowly crawls towards the ropes… He’s closing in on the ropes… Almost has them… ANARKY PULLS HIM BACK TO THE MIDDLE OF THE RING!" JACOBS: "Oh that’s got to be just crushing, Gamma-O was so close to having escaped that hold and now he’s back in the middle of the ring, even worse for wear than he was before." MARX: "Gamma-O bridges and now flips himself back onto his back, now catches Anarky with a rolling cradle, Anarky pinned! MARX: "Anarky gets out of there at the last second…"
JACOBS: "Last half second really!" MARX: "Gamma-O back up and he catches Anarky with a knife edge chop… Big forearm to the chin of Anarky. Gamma-O with a right hand and now he hooks Anarky for a fisherman’s suplex… GETS ANARKY OVER… GAMMA-O WITH A BRIDGE!! MARX: "Gamma-O gets to his feet and grabs Anarky, DDT… NO! Anarky lifts Gamma-O up… INVERTED ATOMIC DROP! Anarky off the drops… FLOORS GAMMA-O WITH A CLOTHESLINE! Gamma-O back to his feet but he’s on rubber legs as Anarky sends him into the ropes… BRUTAL FLYING FOREARM BY ANARKY!" WATERS: "I think Gamma-O might just have woken Anarky up, and well, that looks like it was a bad idea." MARX: "Anarky stalking Gamma-O now… Gamma-O slowly to his feet… Anarky grabs him… CHAOS BREAKER!!" RING ANNOUNCER: "The winner of this contest… ANARKY!!!!" MARX: "Anarky with an impressive victory here at Sin City Showdown over Gamma-O... The matches just keep getting bigger and better, and now let’s send you to a team you may not have seen in a while .. Greenie .. Mayes.. the squad from LVW for what should be another incredible match."